Cook a Great Rib-Eye Steak Every Time! Grilling is great, but there are times when it isn't convenient to fire up the outdoor grill. Just because you're not grilling outdoors doesn't mean that you can't cook up a great tasting steak. Just follow a few easy steps to sear a perfectly cooked rib-eye in a pan, complete with a tasty crust with a pink and juicy center. Then use all of those tasty brown bits left on the bottom of the pan to make a scrumptious sauce. 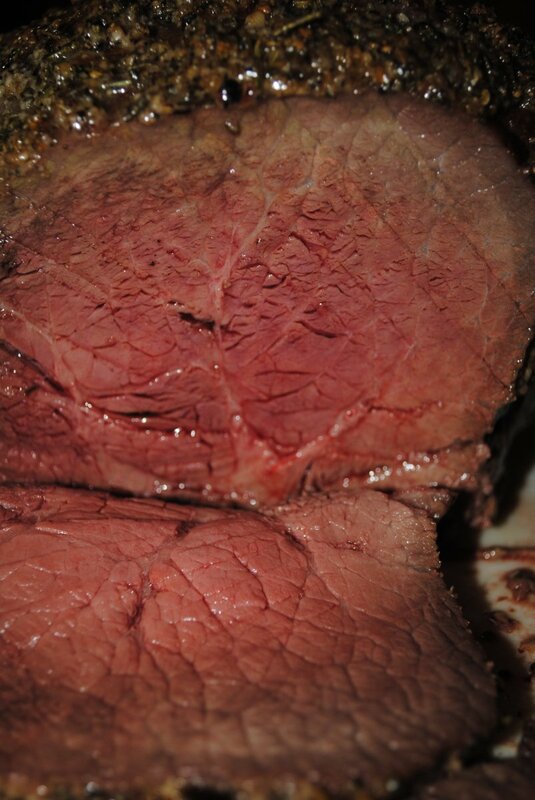 So pick up a quality cut of meat and head into the kitchen. There are lots of cookbooks and online articles outlining the basic technique for pan frying a great tasting rib-eye steak indoors: heat up a skillet, drop the steak into the pan to sear in the juices before finishing in the oven. 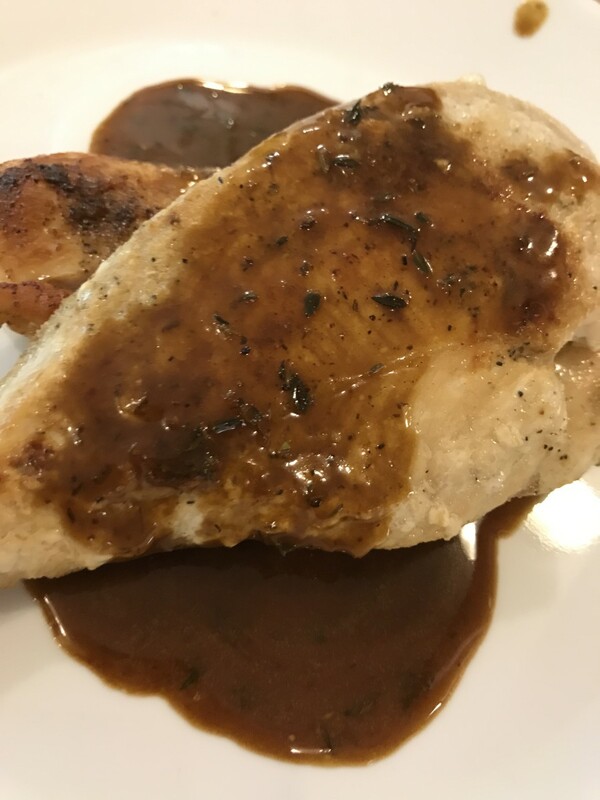 What makes this a little different are the finishing steps for enjoying your steak: straight-up out of the pan, or add another layer of flavor with either a buttery jus or with a creamy cognac sauce. About an hour before you're ready to cook, take the steak out of the frig and let it warm up to room temperature. Leave the meat wrapped in the butcher's paper. A steak at room temperature will cook more evenly (and create a better crust) than a cold cut of beef taken directly from the refrigerator thrown into the heat. Rub on a little vegetable oil on both sides of the steak, and then season it with sea salt and freshly cracked pepper. I prefer canola or vegetable oil rather than the more expensive olive oil for this application; the hot pan can cause the olive oil to smoke. On the stovetop, preheat a well seasoned cast iron skillet or heavy copper / stainless steel, ovenproof pan. 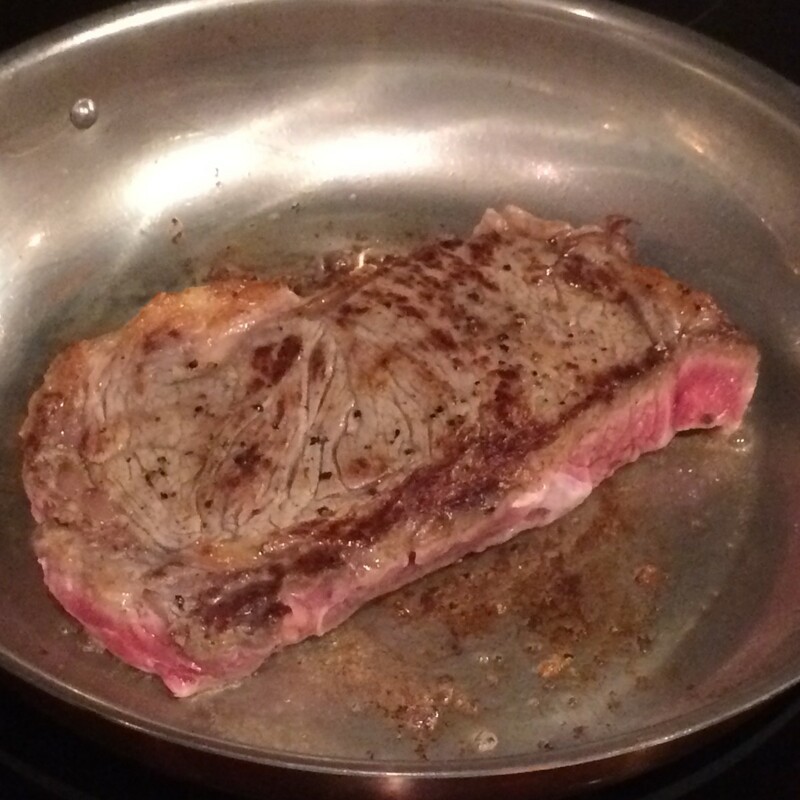 To get that nice sear on the outside of the steak, make sure the pan is hot. Also, pre-heat your oven to 450 degrees. Add a tablespoon or two of canola oil into the pan, along with a tablespoon of butter. The canola oil raises the smoke point of the butter, and helps to prevent the butter from burning. Drop the steak right into the middle of the hot skillet. If your rib-eye is about 1-1/2" thick, let it sear for two minutes. Don't move it around; just let it sit and sear in the hot pan. 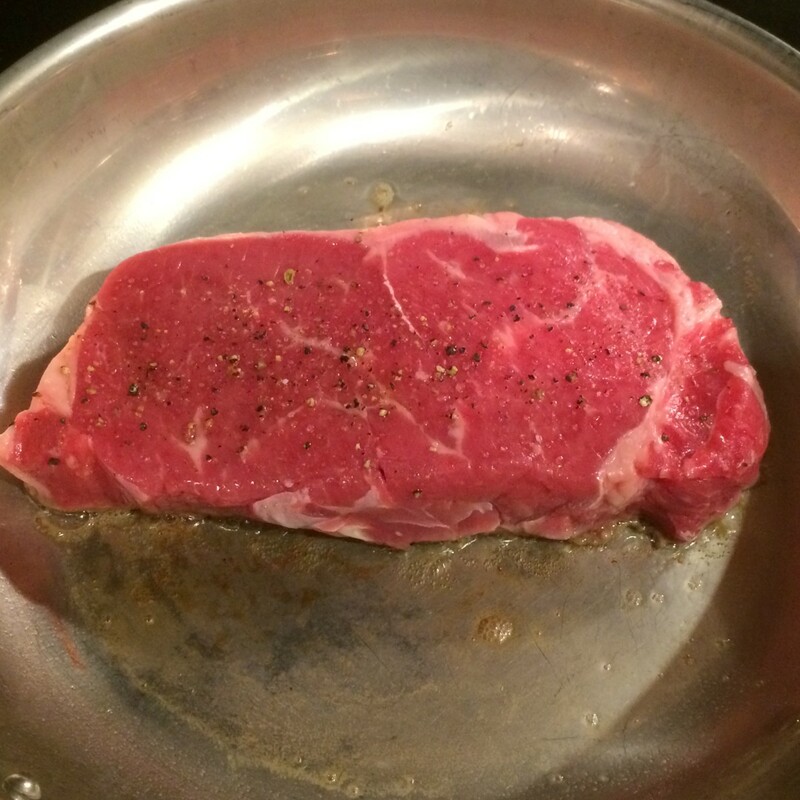 If your steak is a thinner cut (an 1" or less), the steak should only sear for about 90 seconds. You might need to adjust the sear time based upon your cook top and the pan that you use. 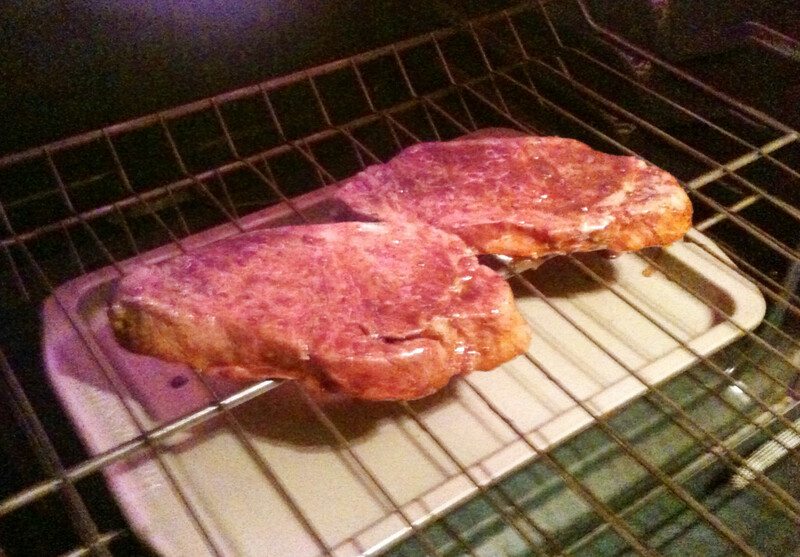 The goal is to get a nice golden brown sear on the surface of the steak, but without letting the meat burn. On my glass top electric range turned up to medium-high heat and using a heavy professional grade copper pan, it takes just about two minutes to reach the sear point on a thick cut rib-eye steak. After two minutes, use a set of tongs to flip the steak over and sear the other side. Again, don't move the steak around in the pan. Just let it sit in the skillet to sear the second side, sealing in the juices. A tasty crust will form after searing nicely on each side for a couple of minutes, but a thick cut of meat will not be cooked all of the through yet. The cooking will finish in the oven. Never use a fork to turn a steak. The tines of the fork will pierce the meat, allowing all of those tasty juices to run out of the steak and into the pan. Using an oven mitt to protect your hand from the hot handle, remove the skillet from the stovetop and place it into the center of the pre-heated oven. Let the steak cook for one to two minutes, and then flip the steak over and cook on the other side for another one to two minutes. 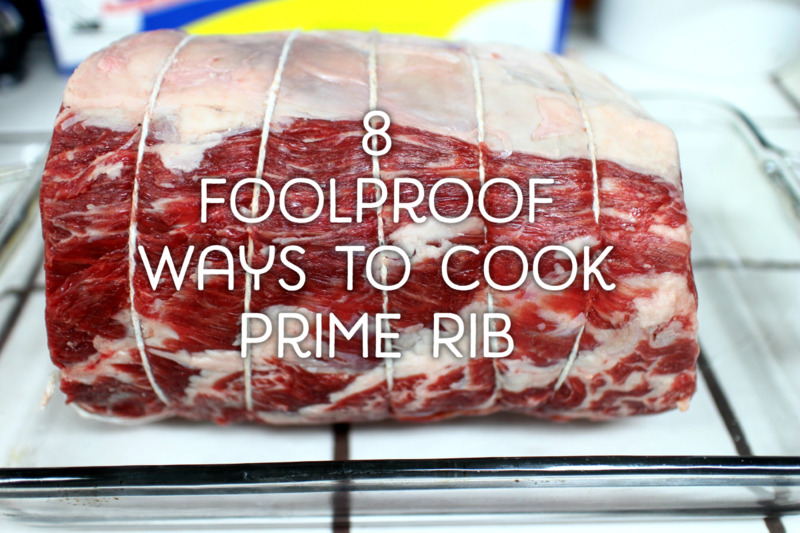 Again, the exact time depends on your oven and the thickness of the cut of your rib-eye. With my oven, just about 90 seconds on each side delivers a perfectly cooked, medium-rare steak. Retrieve the skillet from the oven (don't forget to use the oven mitt), and transfer the steak to a plate. Let the rib-eye rest for at least five minutes before serving. The resting step is critical: cut into the steak too quickly, and the tasty juices will run out of the steak and on to the plate, leaving a dry hunk of meat. 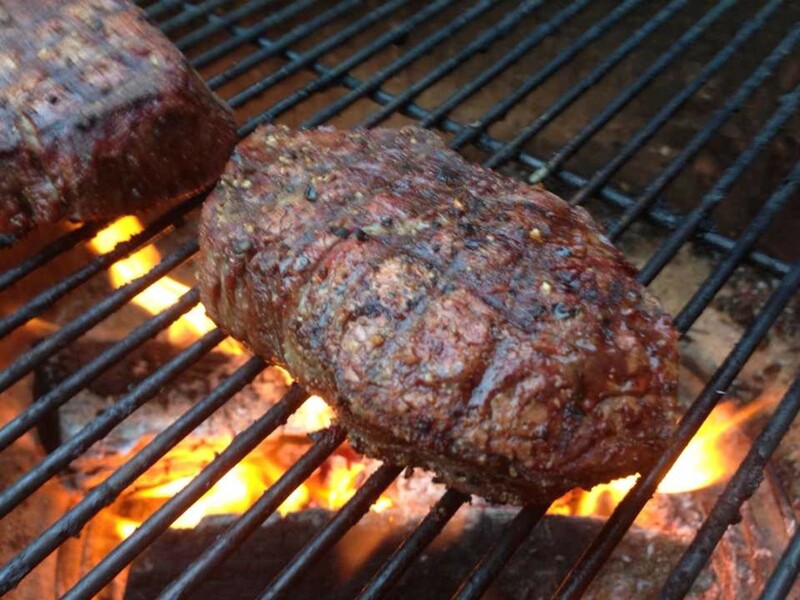 Resting before serving allows the steak to re-absorb all of those flavorful juices. Enjoy! While the pan is still piping hot, add a tablespoon or two of butter to the pan. Stir the butter around in the hot pan, loosening any of the little brown bits from the bottom of the pan. The butter may foam up and will start to brown quickly, so work fast and keep the butter moving. 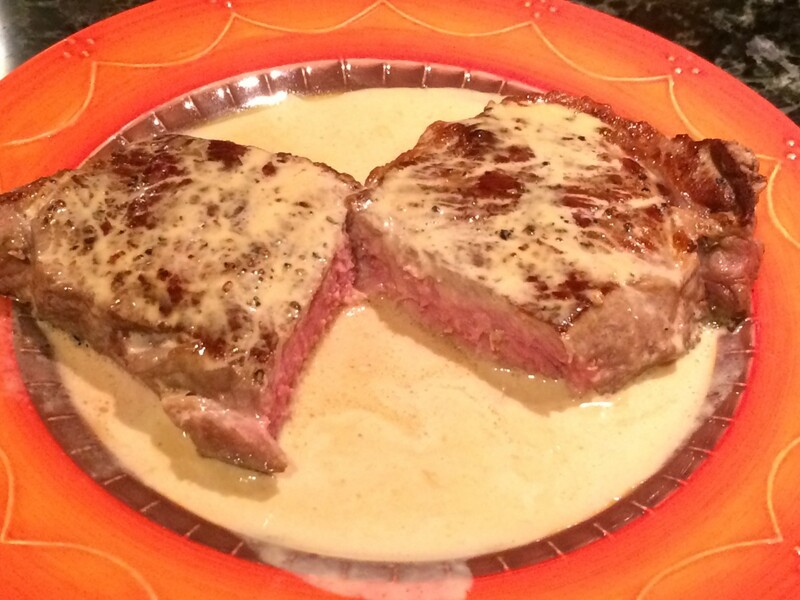 Pour the buttery sauce over the top of the steak, and cover it with a tent of aluminum foil while it rests. The buttery sauce is delicious, and serves the rib-eye well. But for an exceptionally special dish, those tasty bits in the bottom of the fry pan are the perfect foundation for making a cognac cream sauce. And it only takes a few minutes! While the steak rests on the plate under foil, move the pan away from stove. When the pan is safely away from the flame, pour in a few ounces of cognac and whisk to loosen all of the little brown bits from the bottom of the pan. Return the pan to the stovetop, turn up the heat to medium and whisk in about 1/2 cup of heavy cream. The exact amount will vary and can be adjusted to suit your taste. Keep whisking, and the sauce will thicken as it simmers. Grind in some pepper and taste. If needed, add a bit of salt. The sauce is ready when it thickens enough to coat the back of a spoon. 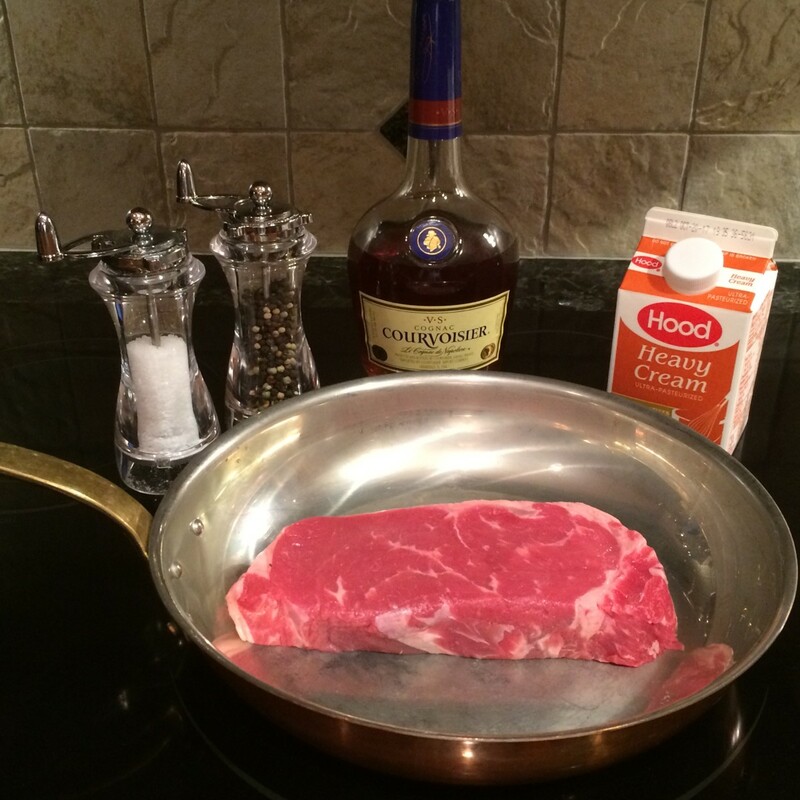 Stir in another splash of cognac (just to liven up the flavor) and pour the finished sauce over the steak. Reserve a little of sauce for dipping. Just about any liquid can be used to deglaze the pan. 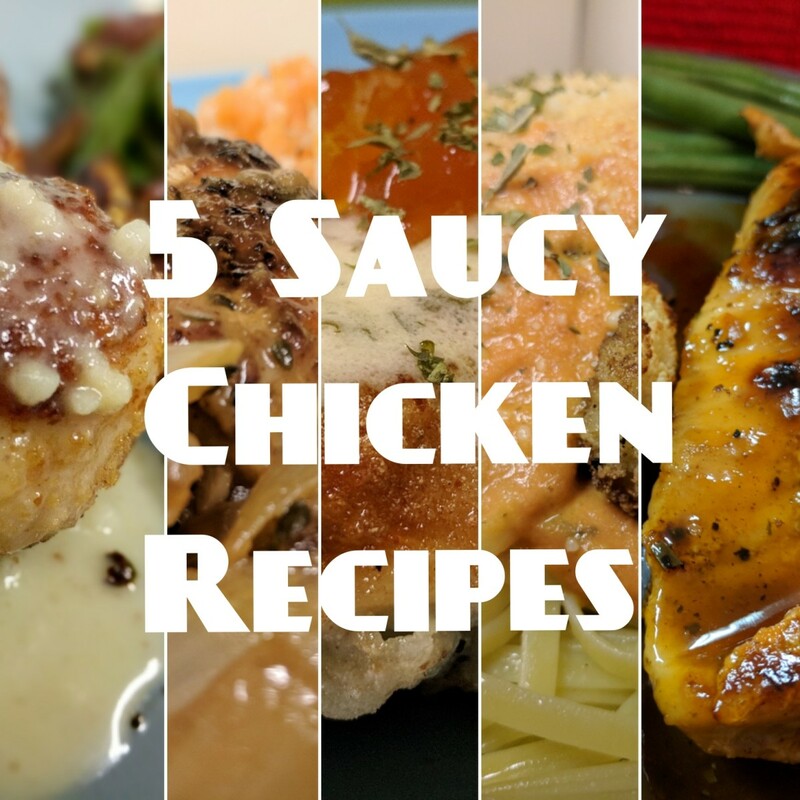 Cognac is a personal favorite (along with wine), and adds a lot of flavor to sauce. BE CAREFUL: Alcohol vapors are flammable, so be sure move the pan away from the stove before pouring in the cognac. When is Your Rib-Eye Steak Cooked Perfectly? Every cook needs at least one heavy-duty pan that works double-duty from the sear on the stove top into the heat of the oven. 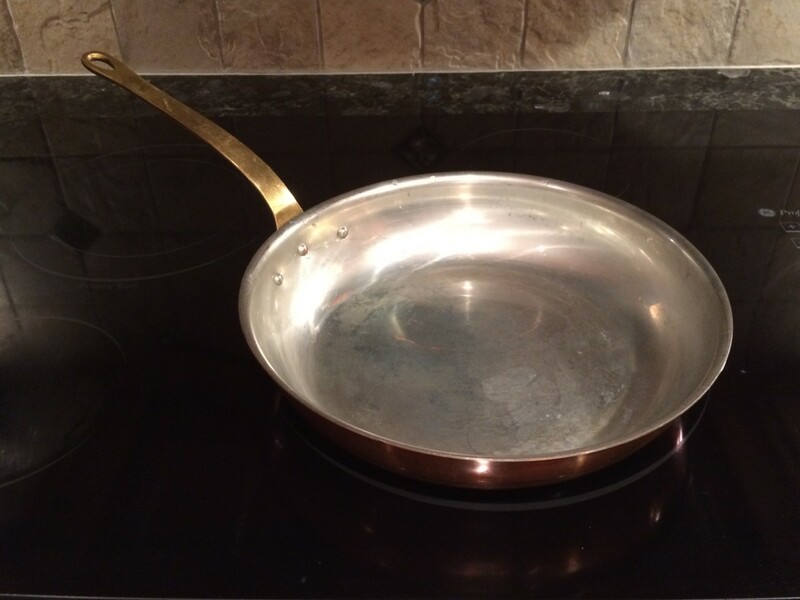 My favorite pan features a thick copper exterior to heat up quickly and evenly, with a non-reactive stainless steel lining. The oven-proof handle is reinforced with rivets, making this the perfect workhorse for the kitchen -- and for cooking the perfect rib-eye steak. At what temperature should the oven be set to finish cooking a thick ribeye steak? I pre-heat my oven to 450 degrees. Oven temperatures can fluctuate quite a bit, so you may need to adjust the heat or vary the cook time. With my oven, just about 90 seconds on each side delivers a medium-rare rib-eye steak. 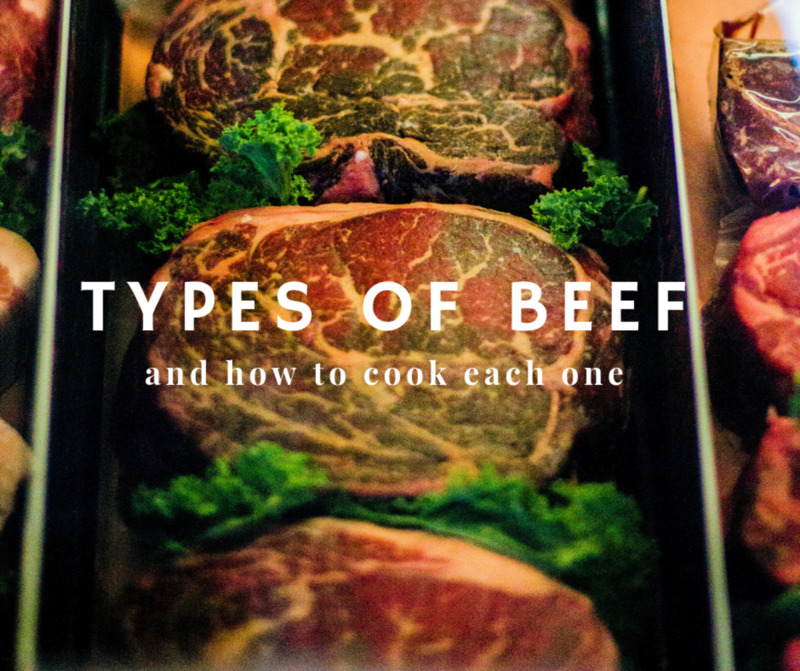 How Do You Cook Your Rib-Eye Steak? Oh baby, now this is real food! Never use a fork to turn the steak - time to buy some tongs I'm on it! I deglaze the pan with a little red wine to make a delicious purple sauce. Takes only seconds. I've never cooked one that way, but I'll have to give it a try once it gets to cold to grill. Thanks. I am craving for a steak now. ok, this is the third food lens of yours that I've visited, and now I'm hungry. Also, I love steak. Medium-rare to rare, with pepper sauce and fries. Its just been too long since I've had a rib eye steak, talk about tender and delicious! I have never cooked rib eyes this way...I will have to give it a try. Mmmm.... love rib eyes! I normally cook mine on a BBQ grill over charcoal, but this sounds great! I'll have to try it. Thanks! Rib eye steak is also our favorite. Will have to try the cast iron method on the BBQ grill. We have our BBQ on the back patio (that has a roof) but haven't had a steak yet this year! Sun's out so maybe this weekend. YUM! Luckily, living in Australia, the BBQ is a staple of many evening meal. Quick and easy clean. I use my cast iron frying pan on gas most days so this is a great way to cook and I look forward to trying your technique using it. Learnt some great pointers. Sounds simple and delightful! Gonna try one soon!